Congratulations to the recipients of the International Hydrology Prize (Dooge medal and Volker medal) for 2016! 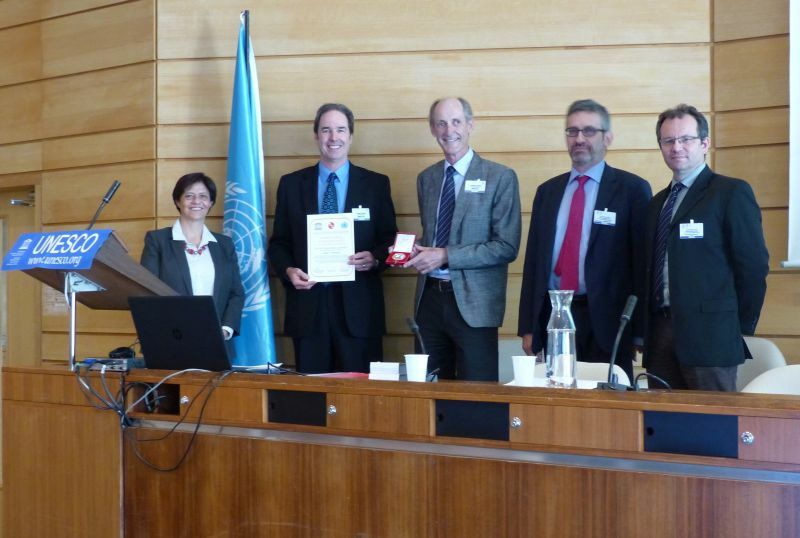 Left to Right: Blanca Jiménez-Cisneros (UNESCO), Denis Hughes (Volker Medal Recipient), Hubert Savenije (President, IAHS), Tommaso Abrate (WMO), Christophe Cudennec (Secretary General, IAHS). 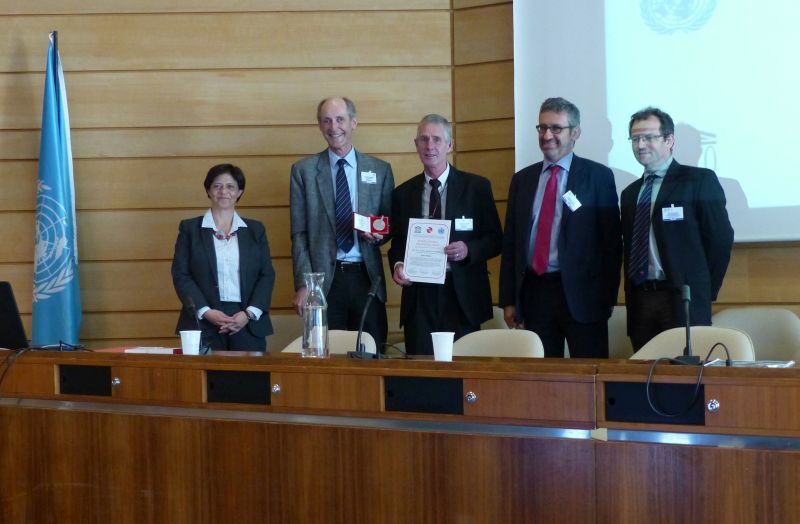 Awarded during the 12th Kovacs meeting at UNESCO in Paris, France (15th June 2016).